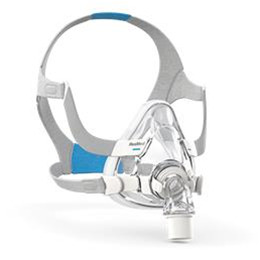 QuietAir™ is our innovative diffuser vent technology within the mask elbow that makes the AirFit F20 89% quieter1 and 70% gentler than before.2 Featuring small multidirectional openings over a widespread area, QuietAir breaks up exhaled air so that it’s spread out lightly. Equipped with an innovative new cushion and a variety of design enhancements, the AirFit F20 is our most technologically advanced full face mask ever. And with its modular design, each size cushion can easily be clicked into the standard AirFit F20 mask frame, helping streamline patient setups.